It’s been a busy week here with lots of errands and not so much crafting– or writing– time. There are a few projects in the works, but first, some glamour shots of my new spindle. I was recently given a Spindolyn, which is wonderful, but less portable than I’d hoped. My initial plan was to cart the Spindolyn to and fro as a travel spindle, but even with the case I concocted for it, I’m afraid of damaging the brass quill and throwing off the balance. 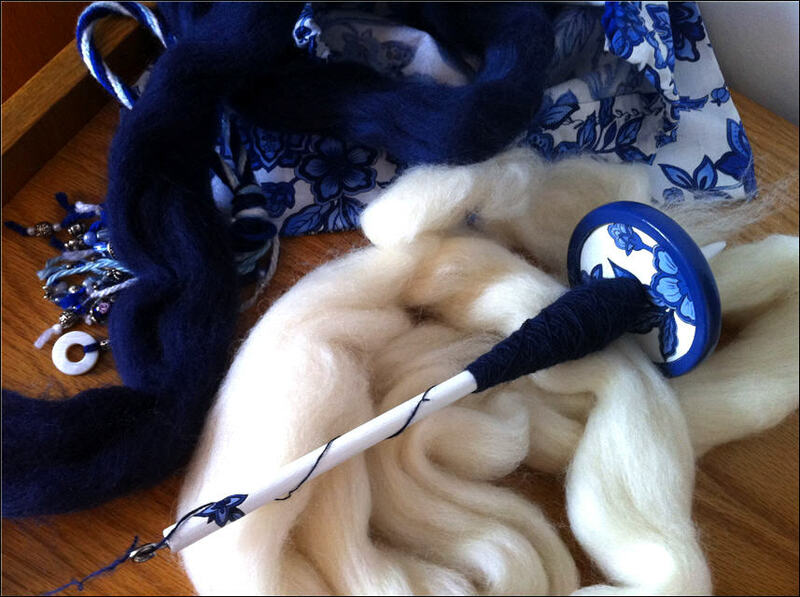 I decided that the Spindolyn would be happiest staying home, but that still left me with a yen for a portable bottom-whorl spindle. I saw this charmingly named “Delft” set on Etsy last summer and was immediately won over by its handpainted appeal and matching wristaff (I sense a post on the word “distaff” coming up! ), but the listing was taken down soon after and I assumed the set had been sold. When the listing reappeared, I considered it fate and snapped it up. And just in time for my last spinning class, it arrived! A friend of mine with much more photographic skill than I has taken some better photos that I hope she’ll let me post over here. Front: fractal spinning. Back: any-which-way spinning. In said spinning class, I also happened to learn about the technique of fractal spinning. I decided to give it a try, and spun up a bit of colored roving. 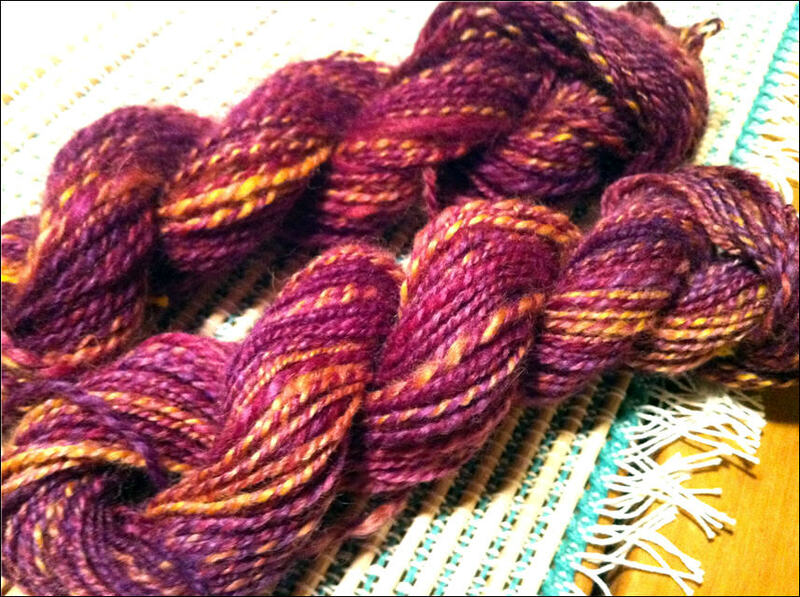 The roving didn’t split quite evenly, so the colors don’t match up perfectly, but I’m pleased with the effect. 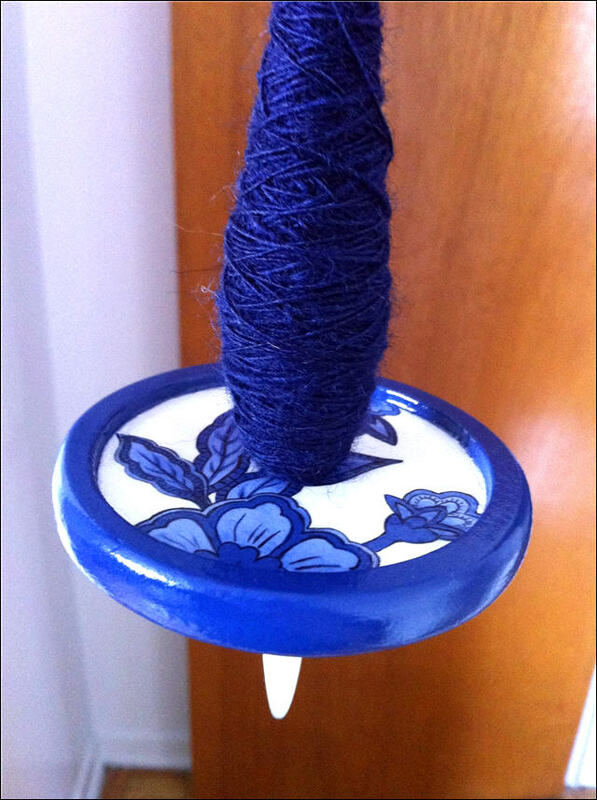 This is also the first finished (albeit tiny) skein that I’ve produced off of the Delft spindle. So, that’s the spinning. There are also exciting goings-on in the weaving department: I finally found some rug weft! 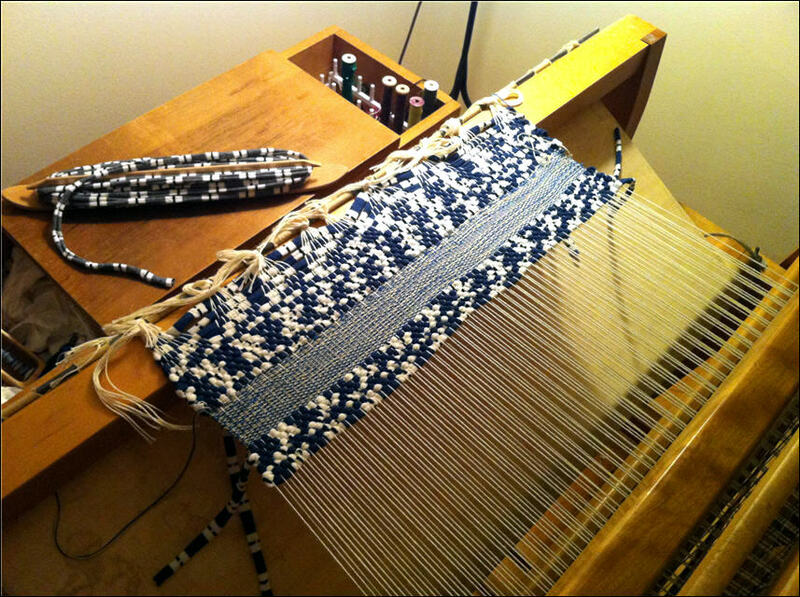 The weft is actually composed of scraps from a textile factory, and it is working beautifully. For one thing, each strip is very long. Instead of sewing strips together, I’m actually cutting them to fit onto my shuttle. The only challenge so far is that the fabric is somewhat elastic, so I have to be careful not to allow it to stretch when I pull the shuttle through. 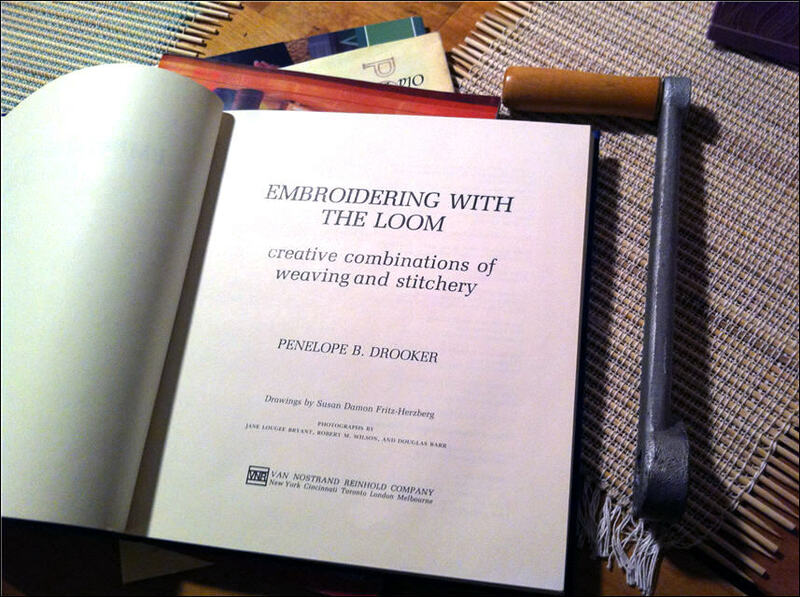 I’ll be reading this book and coming up with ideas as long as the rug is taking up the loom. G’awwww you’re too kind. You definitely have my permission for using my photos, I’ll get in touch with you. I’m loving your examples of fractal spinning and haphazard, any-which-way spinning (is that the technical term?). I’m definitely buying that color if I see it in again in store!